Bowel Cancer Australia is calling on the Federal Government to urgently address concerning inequities in support and access to life-extending treatments for Australia's second deadliest cancer. The call comes in the wake of results from the first national patient survey of its kind, released to mark the start of Bowel Cancer Awareness Month in June 2014, which shows Aussies with bowel cancer feel like they have the 'wrong cancer' due to lack of dedicated support services and low awareness. Discussion of bowel cancer is off-limits as the majority (60 per cent) believe people think it's 'dirty'. Bowel Cancer Australia chief executive Julien Wiggins said that it's really sad that bowel cancer patients feel this way but it is understandable when you consider the facts. Australians with bowel cancer also miss out when it comes to dedicated support services whilst going through treatment. For example, $31.5 million was dedicated to specialist breast care nurses8,9 and $7 million for prostate cancer support services,10 but bowel cancer received no such government funding. "Arguably, the biggest issue in the battle against bowel cancer is silence. People don't hear much about bowel cancer despite it being such a common cancer, so awareness is low and this contributes to a lack of understanding of the cancer," said Mr Wiggins. According to a leading Australian cancer specialist, one of the critical challenges with increasing awareness and support for bowel cancer is the reticence of those affected to speak up. "I have treated hundreds of patients with late-stage bowel cancer over the years, including some high-profile Australians, and none has wanted to talk about it publicly," said Professor Stephen Clarke, Cancer Specialist at Royal North Shore Hospital. "Often, these are people who have a lot more to give in their personal life and to the broader community but are out of treatment options. This is an important issue affecting a significant portion of Australians and it's long overdue for receiving our attention." Mr Wiggins said "We call on the Government to take action now by ensuring funding for dedicated support services matches the burden of disease and enabling timely access to subsidised life-extending treatments." About 15,000 Australians, men and women, young and old, are diagnosed with bowel cancer each year. An ageing population means bowel cancer rates will rise – around 130,000 new cases are expected between now and 2020. While 90% of bowel cancers can be treated successfully if detected early, fewer than 40% of cases are detected at this stage. Bowel cancer 5-year-survival rates are low (66%) compared to other common cancers such as breast, prostate and melanoma (about 90%). Bowel Cancer Australia wanted to better understand the lived experience of bowel cancer patients in order to advocate for and help provide appropriate levels of services and support. The survey findings also provided a baseline from which to measure improvements in the patient experience. Almost 300 bowel cancer patients and bowel cancer survivors completed a survey between March 2013 and April 2014. They included men and women of all ages, from their 20s to over 80s, from the city and the bush. Current bowel cancer patients included those with early and advanced disease. The findings of the first national survey of bowel cancer patients support the documented priorities of Bowel Cancer Australia.  In the Bowel Cancer 2016 Challenge, Bowel Cancer Australia called for better education about bowel cancer, increased levels of bowel cancer screening and improved access to effective treatments. Download a summary of the first National Survey to Better Understand the Lived Experience of Bowel Cancer Patients. 1 Stollznow. 2014. 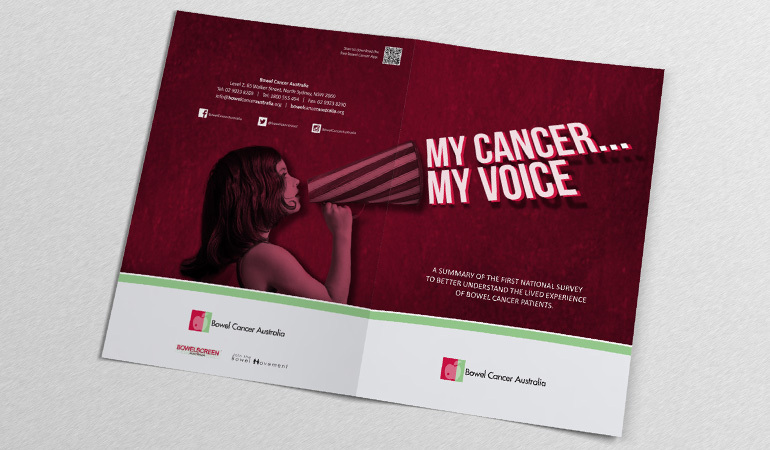 My Cancer My Voice Bowel Cancer Patient Survey. April 2014. 7 Wonder Drug Consulting. 2014. Reimbursement success rates and timelines for new medicines for cancer; an international comparison. [Online] Available at: http://medicinesaustralia.com.au/files/2013/07/140323_OIT_Wonder-Report_FINAL.pdf, last accessed 17 April 2014. 12 Australian Institute of Health and Welfare and Australasian Association of Cancer Registries (AIHW & ACCR). 2012. Cancer in Australia: an overview, 2012. Cancer Series no. 74. Cat. No. CAN 70. Canberra: AIHW. [Online] Available at: http://www.aihw.gov.au/publication-detail/?id=60129542359, last accessed 15 April 2014.